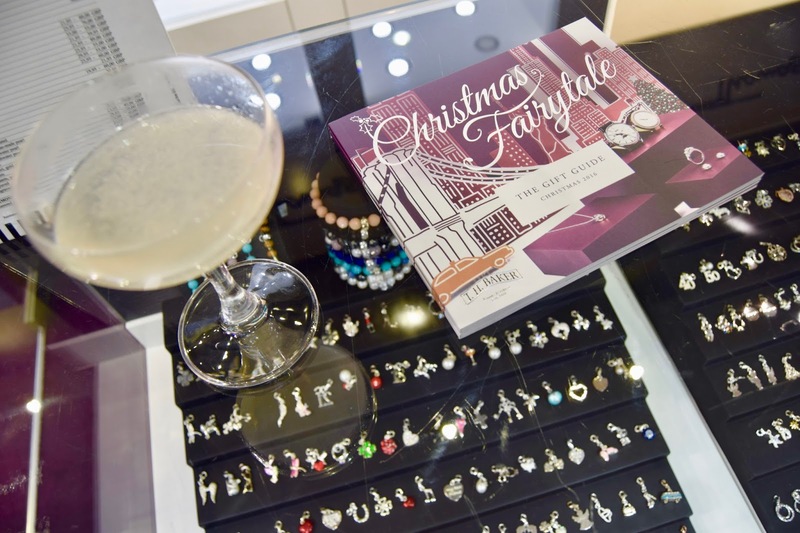 On Thursday evening last week, myself and a few local blogger friends, Charlie, Katie and Holly attended the wonderful TH Baker x Thomas Sabo Christmas Wishlist event in Brighton. The evening was jam packed full of socialising, eating, drinking multiple cocktails but most importantly, gawping at all of the Thomas Sabo jewellery. We were greeted by Thomas Sabo's very own Digital Manager, Francesca. It was so nice that she was there and got so involved with all of us. She really made us feel like we were welcome and valued as bloggers! Francesca got stuck in right away and told us all about Thomas Sabo, what they offer and how all of the different ranges are tailored to people of all different ages and styles! We were told all about the collectiable ranges too, such as the Charm Club and the Karma Beads; I have previously owned a Charm Club bracelet (which sadly I lost!) so I know how much fun it is to collect charms for your own unique style. She also mingled with us throughout the night too and showed a genuine interest in us being there, which was really lovely! Out of all of the jewellers in Brighton, I love TH Baker the most. Mainly because it's so spacious, glitzy and the staff are super helpful. I get such a sense of happiness when I'm in there because it is normally to help make someone else's Christmas. 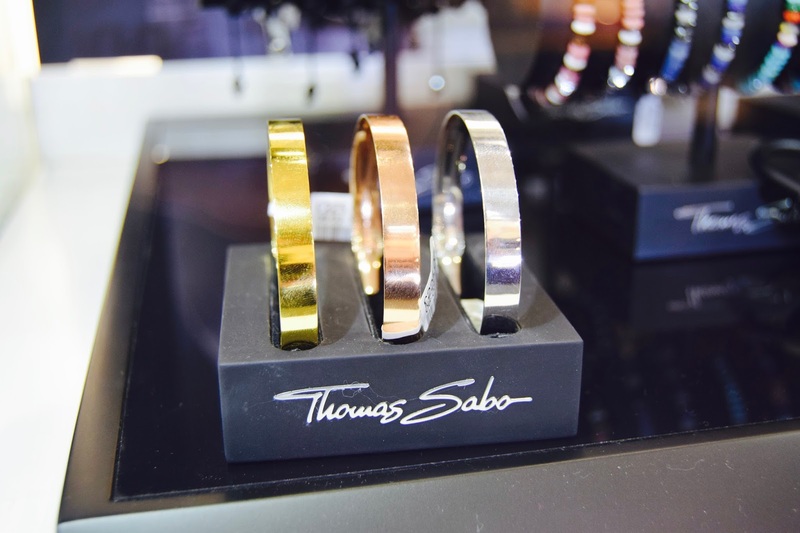 From the moment I saw the Thomas Sabo stand, my eyes were immediately drawn to the Rose Gold Bangle "Love Cuff". Obviously, the Rose Gold is my favourite (could I even call myself a blogger if it wasn't?!) However, I do think the other colours are so beautiful too! The main purpose of the event was to introduce everyone to the new Love Bridge collection #EngraveYourLove. 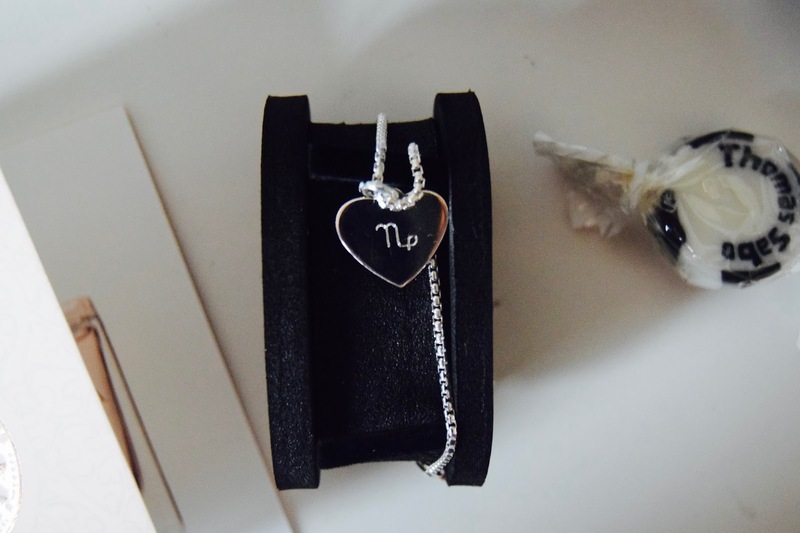 Jewellery is a great of telling someone how much you love them, but having it personalised can mean so much more. The entire collection comes with complimentary engraving and you have over 50 different designs and 3 styles of font to choose from - all to form your perfect gift. You can engrave anything from special dates, to words and names. 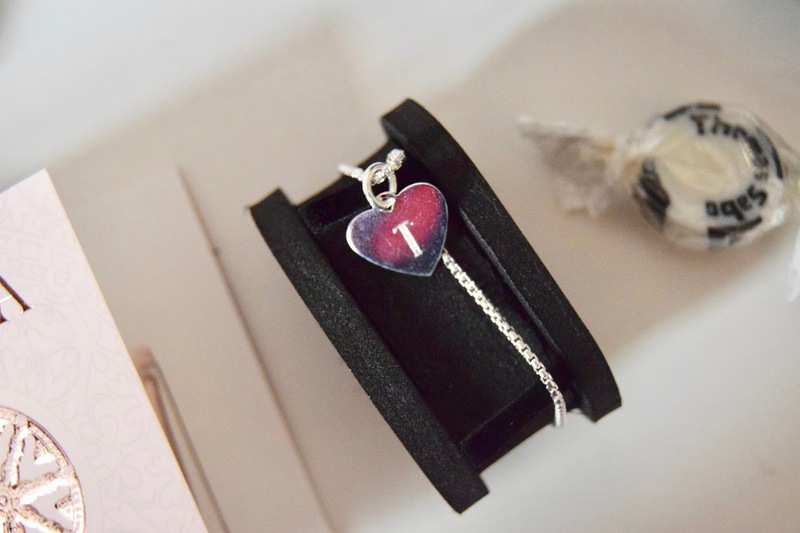 We were each very kindly given the sterling silver glam and soul bracelet with a heart pendant*. I chose to engrave my pendant with the letter 'T' in the font 'romantic' on one side of the heart, and the Capricorn symbol on the other. I already have my star sign tattooed on me, so it was only right that I got it on the bracelet too! I couldn't get over how quick and clever the engraving system was; all you do is pick your designs on an iPad and it sends it directly to the machine! Mind = Blown. The food for the evening was brought to us by The Secret Restaurant and oh my god, it was so good! We basically bathed ourselves in the most amazing tasting canapés I've ever eaten, ranging from Cumberland Sausage and Mustard Mash, Fennel & Sea Salt Scones with Smoked Trout & Peppery Cream Cheese, Rosemary Shortbread with English Goats Cheese and Peppadew Salsa, then finally, Pastrami on Rye with Pimento Cheese and Cornichon. My favourite definitely had to be the Rosemary Shortbread! Yum! They cater for all sorts of different events and I strongly suggest you check them out if you're looking for a unique catering service in Sussex or Surrey! Of course that wasn't all! We were entertained with a DJ and had complimentary drinks provided from the bar - from the likes of champagne, Brighton Gin cocktails and mojitos. Sadly I was driving, so I had to limit myself and stick to the mocktails for the majority of the evening. That just meant more alcohol for the others and saving myself from a weary head the next day! As for the goody bag, we were completely spoilt! 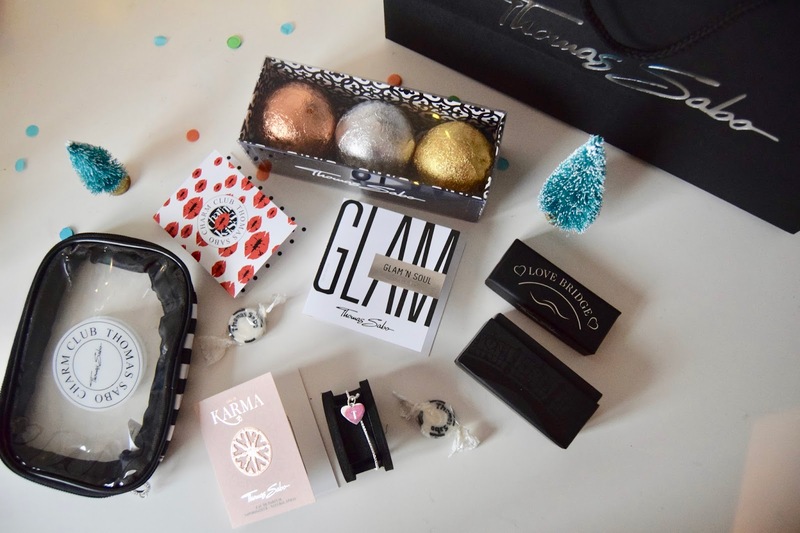 We got everything from perfume samples, Thomas Sabo rock, a cosmetics bag and even bath bombs! Of course our bracelets were included too. Overall, TH Baker did a great job of making us feel well looked after and the staff were super helpful. It was lovely to meet other bloggers, as well as see members of public enjoying the night too! 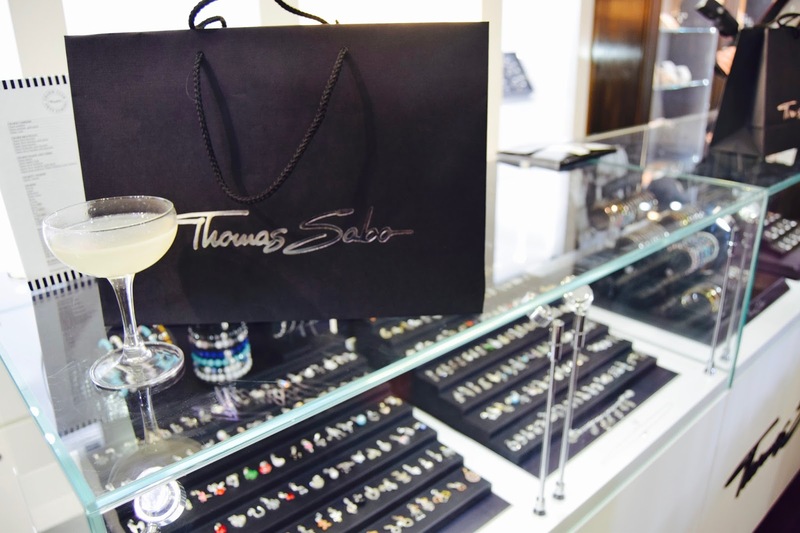 A huge thank you to TH Baker for putting on such a great event and to Thomas Sabo for having us! I can't wait to go back soon and buy some presents for Christmas! Looks like an amazing event! Love Thomas Sabo.